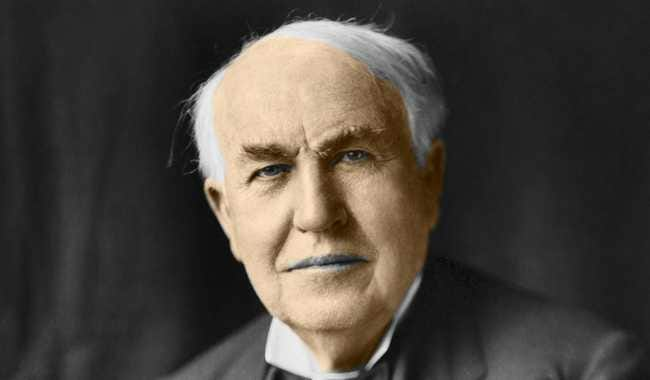 You have certainly noticed different photo restoration samples around the web, which amazed you with its niceness and colorful specifics; they inspired us to restore pictures of your ancestors or to play with various programs to colorize black and white photos online just for the hell of it. The key task of such an interesting editing is most likely a desire to return to a carefree past, to return lost people or to show that the photography will always be alive. When we look at a black-and-white image that has become colored, we get strange impression that we are living the depicted moment again. 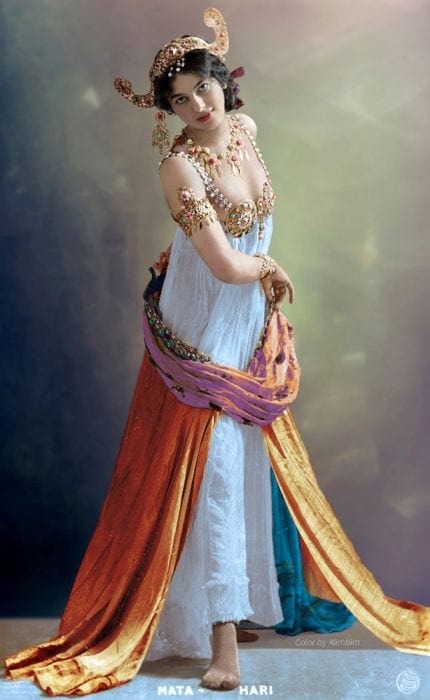 In our blog you read lots of articles devoted to the coloration of old photographs, there is one of them “Amazing historical photos colorized and brought back to life”, but now we will try to figure out how to make a color photography? Every old photo has its historical value, so the restorer must have some knowledge to shape the painted photo look natural rather than artificially created. 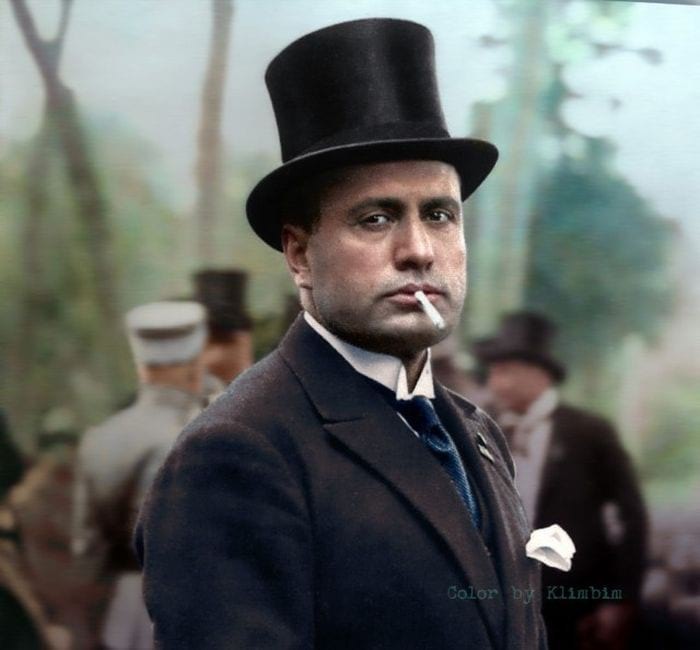 In this regard the masters colorize old photos Photoshop with filigree precision and accuracy so that we can again appreciate the value of these old-new photographs. We will have glance at the brightest converted photos and talk about several programs that in time will act as a competitor to Photoshop. Having a lot on the ball how to colorize a black and white photo with Photoshop and knowing particular rules and some subtleties of the photographic treatment, everyone can touch the heights. This presentation “Photoshop Tutorial: Best Way to Colorize Black & White Photos!” shows the moves for colorizing pictures in great detail. The creator used a snapshot for editing in special stock photography, and described how he was transforming the photo brick by brick. We do not tell you some special techniques and secrets to colorize old photos Photoshop, because almost all restorers apply the defined set of program tools and pursue their goals, but most importantly the result should pleasantly surprise. We get hooked on color images, because in the modern world we are surrounded by bright colors everywhere. Entire generations are brought up on bright colors of photos, films, advertising, goods, and are not used to perceiving monochrome images. Colorization is a way to bring black and white photography closer to modern colour, making it easier for modern people to perceive. It is quite a painstaking and long manipulation, so a good performance will be expensive. But last time I checked universal Photoshop package. 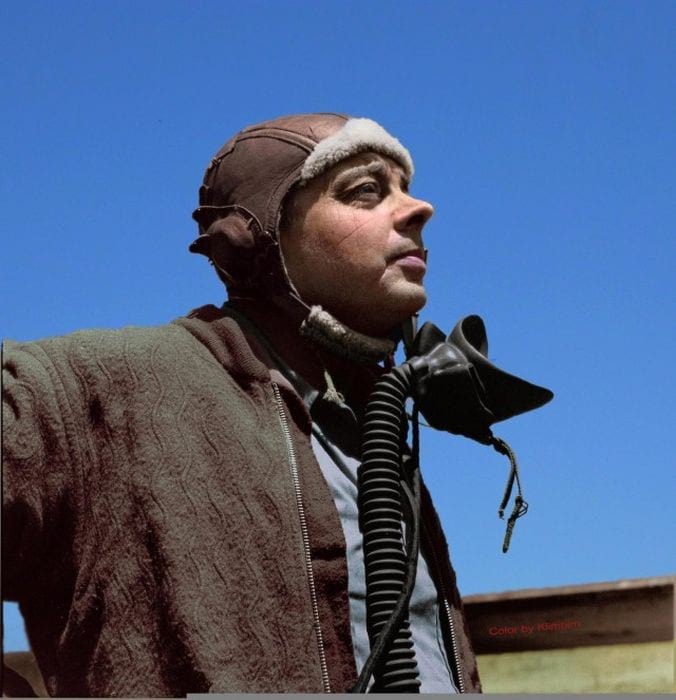 So, below, we will provide several manipulations how to colorize a black and white photo with Photoshop like smoke. The initial picture must be copied that you can compare it later, besides that we have to save each layer and level of photo processing. Fret not, if something is unacceptable, you can always turn to the foregoing stage of production. Action 1. If you want to colorize old photos Photoshop you will need to manage with the Brush Tool, also know a thing or two about the applying of other Photoshop tools. It is nice to have the skill to mark the field of photography and initial knowledge about layers and masks. But let's start by translating our image into RGB mode, which gives you the opportunity to deal with any colors and shades. Action 2 is the working with Blending Modes. Created layers we start adding colors to our photo. In order to paint a certain section of the photo, choose Lasso Tool (for beginners) or Pen Tool (for masters). Selecting the face, we need to paint it, choose the relevant color in the palette and start brushing the selected area with the Brush Tool. For more accurate coloring, we can choose a convenient brush scale. Action 3. 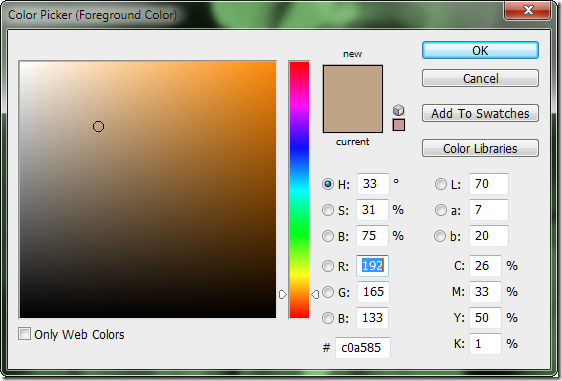 Adjust the metrics and pick up the right colour from the Hue / Saturation Tool. Action 4. Do not forget about the contrast. Constantly adjust it, keeping its previous actions (you can set the parameters on the toolbar). Action 5. By painting the individual parts of the costume, layers are superimposed on the image that you adjust using the parameters grid. In the end, when all the elements are painted, you perform the final actions so that all colors are combined and the image is completed and bright. And the last step. Save your edited image in a format that is convenient for you. Voilà! 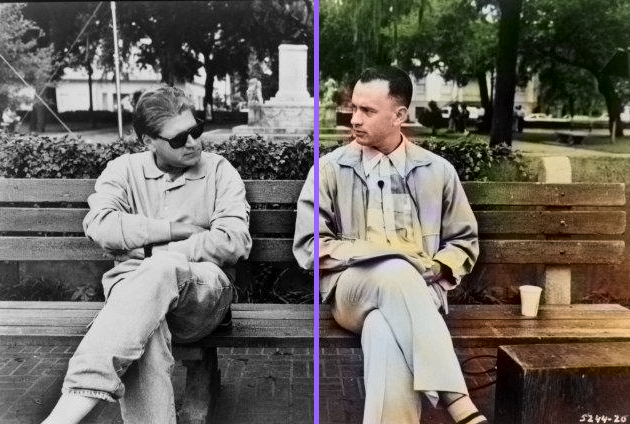 Now you know how to colorize a black and white photo with Photoshop. 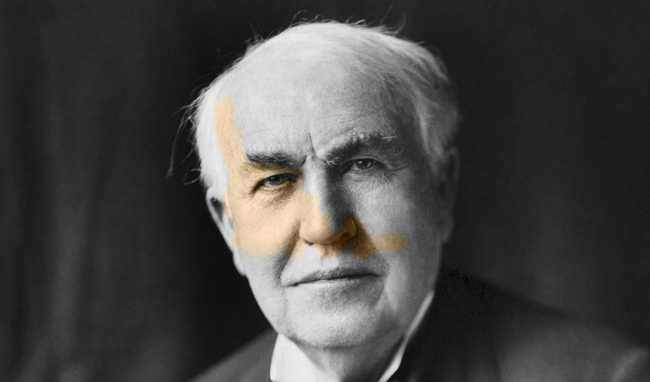 In our article “First color photos” you can see and read about the first photographs and discover what colours and tones were present in old color pictures so that your photo would play with original colors. History can be immortalized in various ways, and photography is one of them. Contrary to its aesthetic component, black and white images often draw a line between the past and the present. Moscow photographer Olga Shirina (known in the network under the nickname Klimbim) destroyed this border, restoring about two thousand historical black and white photos, mostly photographs of pre-revolutionary Russia and the Soviet period, but also many photographs of other world historical figures. This is a kind of attempt to have a squint at history from an alternative angle. And, in our opinion, the attempt is successful. What's your take on that? 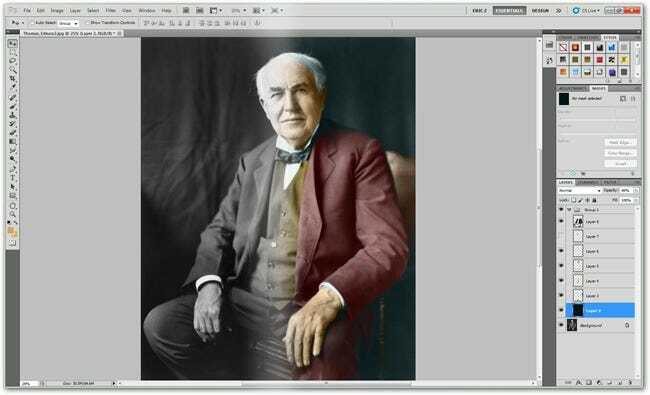 Did you hear about how to colorize a black and white photo without Photoshop? 1. 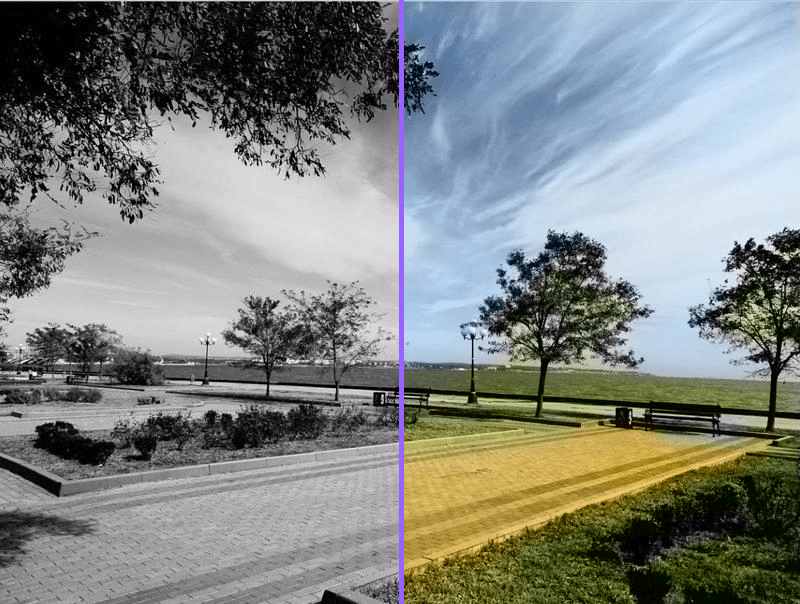 The Colorize Photos service was created by a group of researchers dealing with neural networks, to demonstrate one of the options for the practical implication of artificial intelligence. 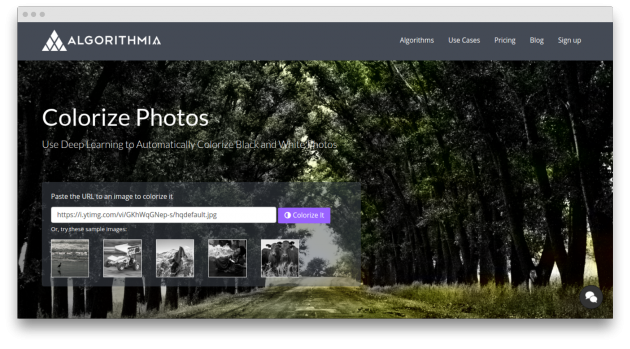 Whoever can visit the Algorithmia, enter a link of your photo and in the field and by click on one button colorize black and white photos online. Despite the fact that the images are processed in a matter of seconds, the amount of work done by artificial intelligence is very large. After all, during this time it needs to analyze the contents of the picture, recognize familiar objects on it, extract the approximate colors of these objects from his database and, finally, apply them to the photo. 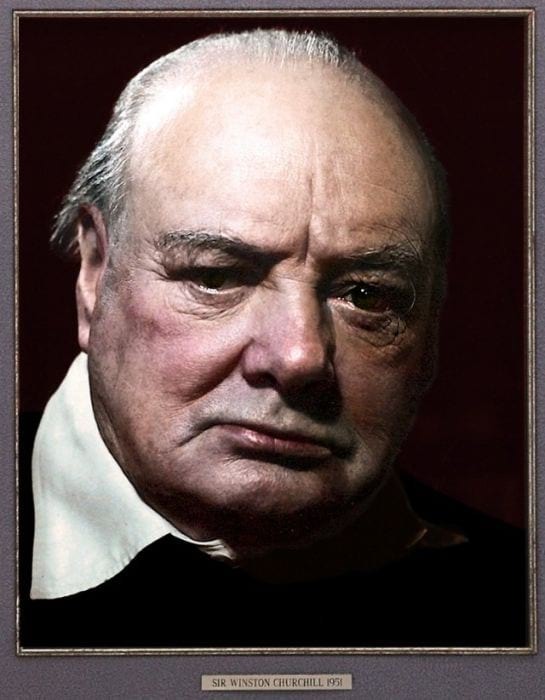 The results of Colorize Photos work quite strongly depending on the image offered for editing. Some photos just surprise with the plausibility and variety of colors, others look, frankly, not very much. After several experiments, it becomes clear that the best thing Colorize Photos cope with colors of the human body, water, trees, cars, buildings. It looks interesting, does not it? 2. 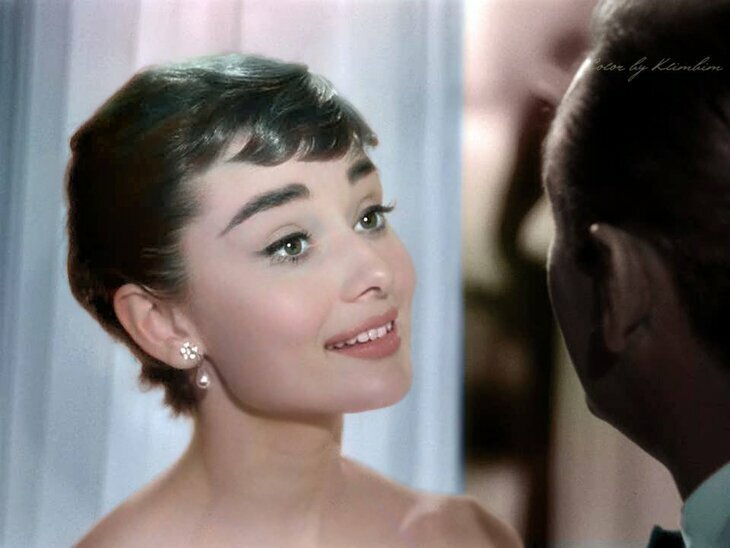 An easy-to-work program for makeover all black and white pictures to varicoloured ones is Recolored. Based on the latest developments in the field of automated coloring of images, Recolored enables everyone to accomplish professional-looking results. All you have to do is mark the areas of the picture that you want to paint and specify what color should be. The rest will be done by the utility itself. Recolored already has a number of color schemes that will simplify the selection of shades for the skin, hair, eyes, clothing, etc. There are settings where you can set the color gamut (RGB or HSL), limit the use of memory; set the quality of the JPG image to be saved. 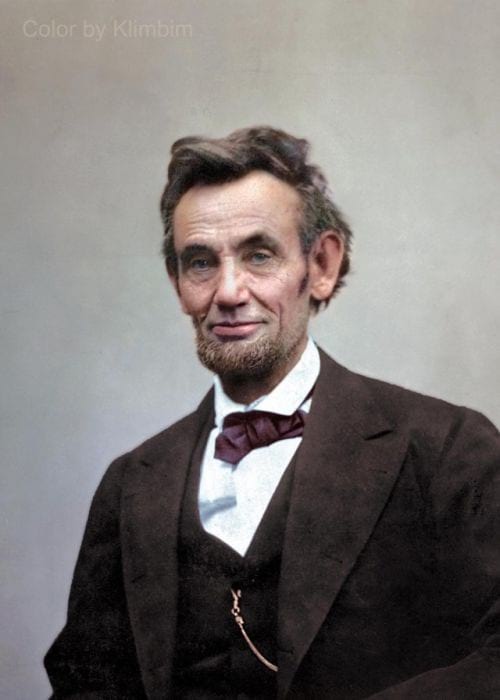 The program is a very good tool for “revitalizing” old photographs. 3. Another free image fixing program is GIMP. 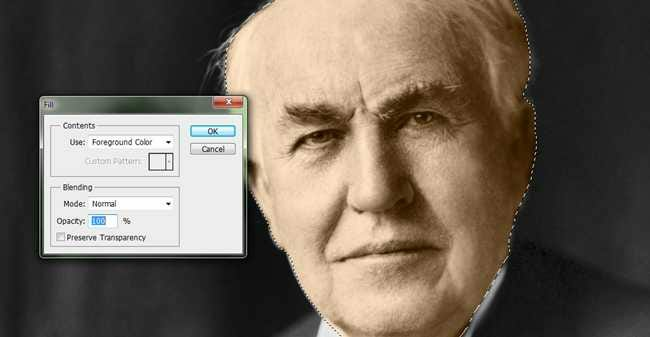 Unlike previous programs, this application requires certain attainments of how to colorize a black and white photo without Photoshop. Although many users and retouchers are not really enjoy the functions of this utility, nevertheless, aided by the set of tools and various suggested effects, having spaz around, you can achieve the bright result. 4. 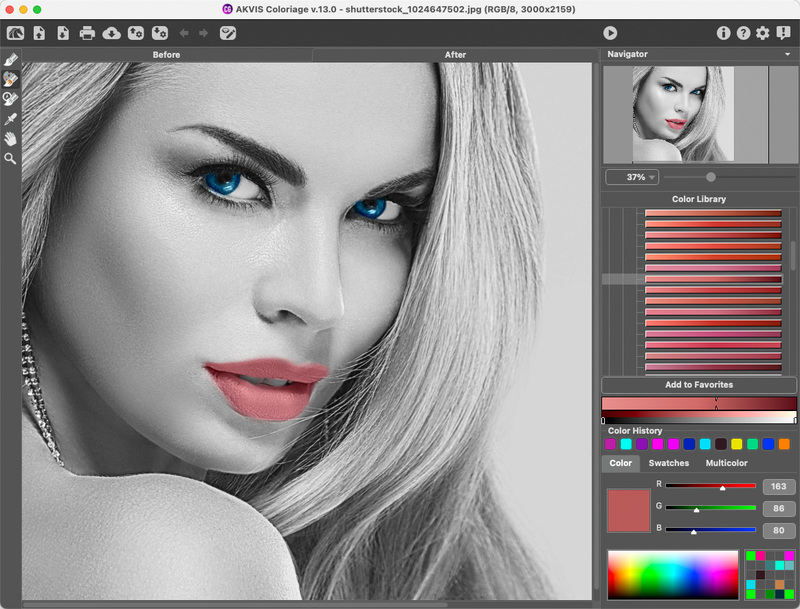 AKVIS Coloriage is another utility where user can color photographs and interchange colours on color images, it is captivating and inspiring to work. The key task is to divide the places and fix upon the colors. It is enough to emphasize objects for repainting with several strokes and set the wheels in motion. Coloriage identifies borders and colorizes the shot, overlaying colors based on textures, lighting and shadows. 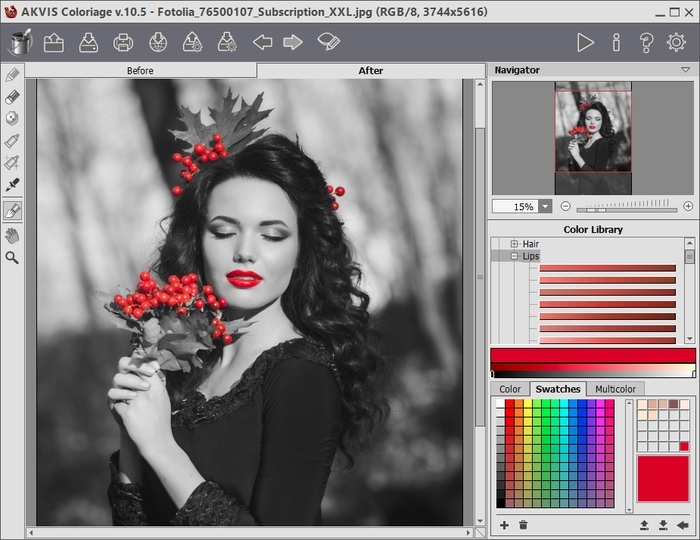 This automatic coloring substantially saves time, and such program is another convenient option for how to colorize a black and white photo without Photoshop. Despite a large selection of various free and paid programs for adjustment images, photo restoration prices remain still high, but the services of professionals are in demand. So to economize on time and effort, you can contact with professional services. If you failed to reach the intended effect or you do not have enough skills for processing photos in professional programs, then our photo restoration services will help you to breathe new life into your old photos. Our specialists will find an individual approach to each photo, because no automatic application can so thoroughly colorize black and white photos online. Tell you friends about this article! Would you rate the article? The article has a rating of: 5 based on 2 votes. Would you like to discuss this article? Feel free too add comments.